I'm sorry if this has been covered before, I have done quite a bit of searching but couldn't quite get the info I wanted, I have the halogen setup and may be able to get my hands on xenon or led, are these plug and play with some coding or are the plugs etc different? I've only seen one possible thread on it so far. 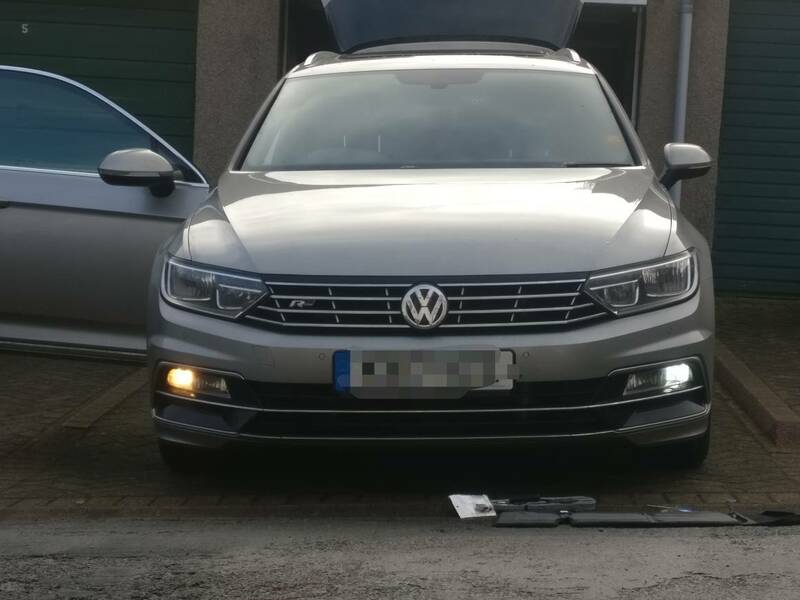 One of my drl just died so I've some LEDs coming tomorrow which will hopefully be plug and play. It's got so many bloody bulbs though if you want to do them all. Hope you get an answer. I put HID for dipped. No LED is as powerful as a 55watt HID kit (which are more likely 40 to 45 watt). I read loads. I did a thread in how to so you can see light output. I have just received H8 LED for main beam. Was out other night taking pictures of light put of the halogens ready to compare to the LED when i fit them over the weekend. Watch some LED TRUTH videos on youtube. The only LED bulbs you should look at is the philips 4 in a row tiny square LEDs. Anything else, pretty looking, loads of LEDs or with a fan should be ignored. Check Headlight Revolution on youtube and my thread to see what they look like. Types on my.phone with one eye shut and 30% blood alcohol! Cheers for the comments guys, how about if I changed the whole headlight to a newer version style, is this possible too? It's possible to get the full led headlights but looking about about £3000 if I remember rightly. I did once ask a VW retrofit company. Anyway did my drl this morning. Massive difference. Picture for comparison. I like that they go off with the main beam so I don't need to colour match everything. jmagee wrote: It's possible to get the full led headlights but looking about about £3000 if I remember rightly. I did once ask a VW retrofit company. Have you got a link to the bulbs you got? You can get second hand headlights on ebay for just a few hindres usually with scratches. So if your lenses are better you could swap lenses (rather deal with an angry bum grape). But then theres ballasts to consider and possible coding. I had equal amount of no you dont's and yes you have to. As for LED bulbs. SMD are really old hat. May be bright to look at but not good for projection. I know those are DRL's but still what you paid could have got you CREE led's which are far superior. I just got a set of the newer again philips LED H9 which i will try in my main beam next few days. Will post an update when i do with photos. Also stick to 5000k - i bought 8000k for my DRL's when full of the drink and it clashes with my set up. So have replaced with a set of 5000k cree and its so much better to look it. Have a look on ebay for item number 263108832822 (sorry on phone and ebay app is pants). Has a total of 10 CREE leds. Regarding the bulb it is listed 5000k, 6000k, xenon white and varies in prices and wattage depending what vehicle you combine in the search. Welcome to the world of LED claims! But I can confirm the 6000k is indeed xenon white and not blue. smilie121 wrote: You can get second hand headlights on ebay for just a few hindres usually with scratches. So if your lenses are better you could swap lenses (rather deal with an angry bum grape). But then theres ballasts to consider and possible coding. I had equal amount of no you dont's and yes you have to. Can relate entirely fella. I was so close to buying headlights and swapping lenses or polishing up. But bang for buck after research I decided on a 55watt HID kit (no LED kit can compare) for dipped, H9 Phiips LED for fogs, CREE LED as mentioned for DRL's and about to try out main beam. I will be updating when I try out these LED mainbeam bulbs to see how different they are. As for side lights a cheapo £7 Cree LED did the job, its not like they light up the road. Cosmetic looks aside, for safety purposes alone its worth the upgrade, I feel a lot better if the wife has gone out in the night - she has poor night vision (and no life insurance) and the kit has made a huge difference in her confidence .... but also for myself. Its an easy job and can't recommend it enough.